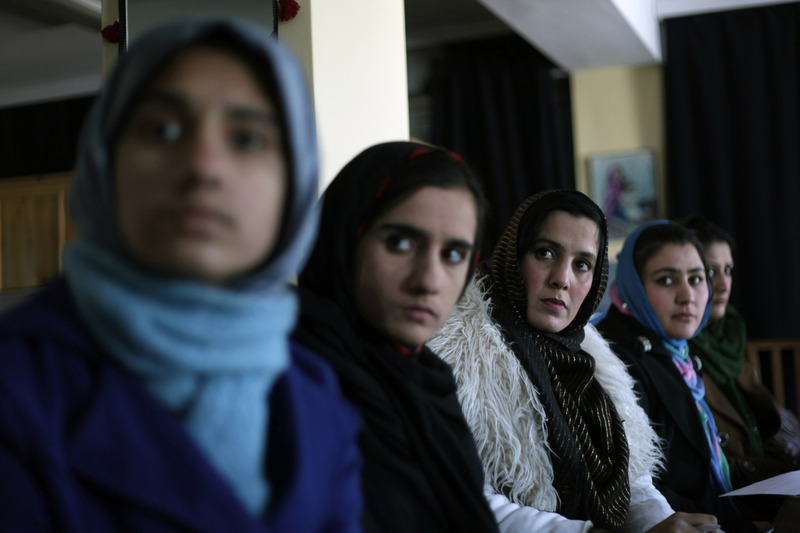 A meeting of Mirman Baheer, the Ladies’ Literary Society, in Kabul, Afghanistan on February 7. 2012. \n The group has roughly one hundred members in Kabul, where they meet openly most Saturdays. The city of Kabul's security allows women to gather openly, a near impossibility across most of the country. Outside Kabul, there are as many as three hundred members in the outlying provinces of Khost, Paktia, Wardak, Mazar, Kunduz, Jalalabad, Kandahar, Herat, and Farah. Exact numbers of members are impossible to come by, since the society operates in secret by necessity.